I'm putting a different spin on my 'Friday's Favorites to Follow' post - today I'm sharing 5 photos and ideas that inspired me this week, things I happened upon via social media and perhaps even saved so I can come back to later! Let's start with the first one just above, a closer shot of the stunning laundry sink in Dina Bandman's space designed for the San Francisco Decorator Showcase. See the full tour of the showhouse here. 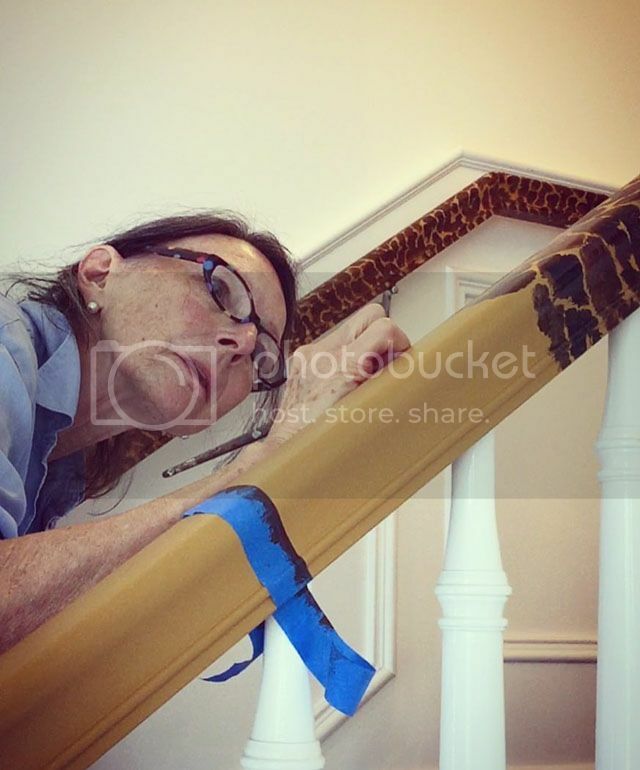 Number 2 on the list is this action shot of a master faux finisher working on a staircase railing in a tortoiseshell pattern for a project with Anne Wagoner Interiors. Incredible! It's inspiring me to at least attempt a mirror frame to accomplish this look that I'm lusting after. 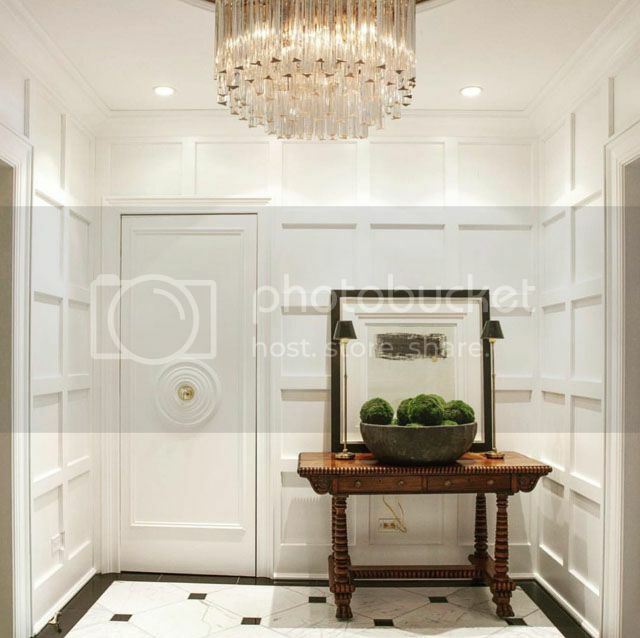 My third favorite photo of the week - this incredible hall by M and M Interior Design. I LOVE the grid panelling (reminds me of the painstaking process in our old house), and I love the combo of the antique piece, the chandelier, and the lamps. Gorgeous! 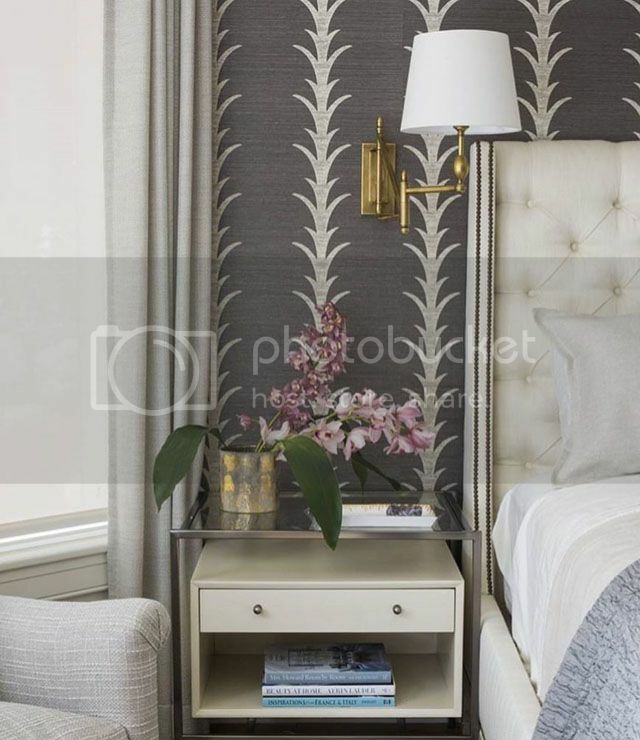 This little nook of a master bedroom with gorgeous Schumacher Acanthus stripe grasscloth is making me want to get decorating my own bedroom ... why is the bedroom usually the last space to tackle? I can only imagine how good it would feel to plop into bed in this space every night! I am sooo excited to be starting 2 weeks off of work today. I cannot lie to you, working 5 days a week lecturing my heart out to college Biology students is tiring. I LOVE my job, but I am tired. I get emails almost weekly from such wonderful readers that often ask, 'how do you do it all?' 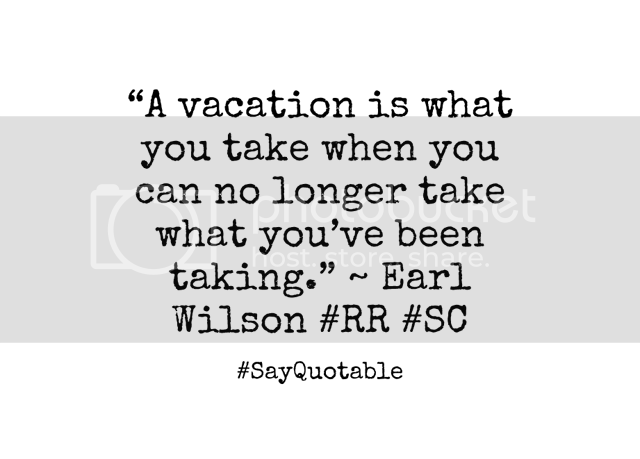 or I don't know how you work and have a son, and still manage to post on your blog ... well the truth is I'm NOT doing it so well. I'd just like to say your blog is such a joy to read. I love your taste and your home renovations are so inspiring, especially as someone looking to purchase her first home soon! I'm also a lawyer with an interest in design so I appreciate that you do this in addition to your day job - glad you choose to juggle it all! Nancy, post whenever you can, don't worry. 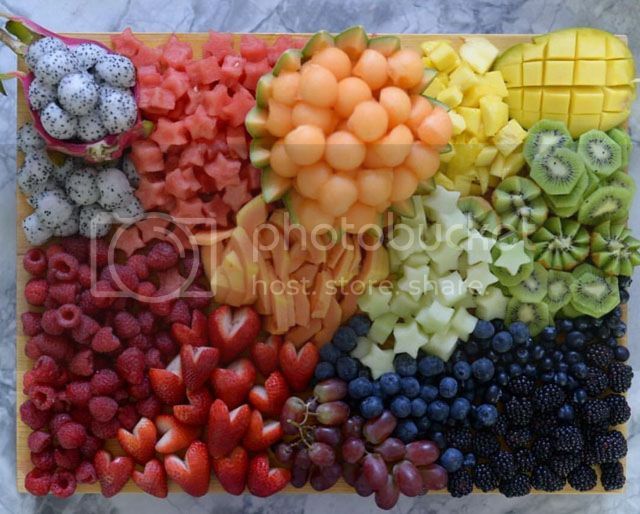 You are my favorite blogger as we share the same taste and you never post just anything to fill a void. 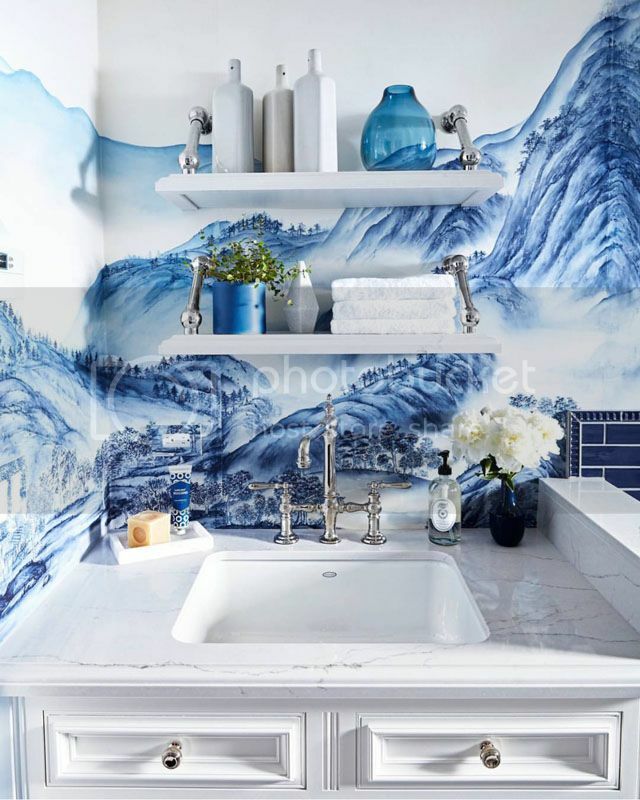 In fact I haven't read this post until today because I just loved looking at that stunning blue mural in my inbox! Relax and enjoy that adorable baby, they grow up too soon.